I came to America on a ship. That statement, which is true, can be useful in conversations. For example, when I want to emphasize my age. At that point in the conversation the fact that I came to America from somewhere else is usually apparent from the remnants of my English accent. That's a Bristol Britannia, which first flew a few months before I was born. The plane entered service in 1957 and my family flew on one from England to Canada in 1959. The Bristol company has a storied history dating from 1910 until the present. The flight was wonderful. I got to sit with the pilot for a while and received an enameled pair of B.O.A.C. wings. 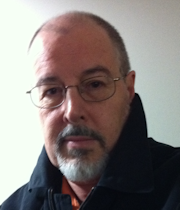 Despite a rough late autumn crossing from Quebec City to Southampton, I thoroughly enjoyed the experience. We were not in first class, but we had an assigned steward at our table in the dining room and he was terrific. For some meals I was the only one at the table (did I mention it was a rough crossing - my mother lost 14 pounds in 5 days). At the end of the trip the steward gave me a certificate he had drawn, stating that I not been seasick the entire trip. Little did I know that the Saxonia would reappear in my life many years later. In the mid-1970s the Lermentov was making round trip cruises from New York, via London, to Leningrad (now St. Petersburg) in Russia. Traveling at a leisurely pace, the ship was a floating showcase of Soviet culture, and a way to obtain U.S. dollars from the mainly American passengers who took the round trip. I have no doubt that my "student" fare of 100 Pounds Sterling for passage from London to New York - cheaper than airfare and a real bargain when you consider it included as much luggage as you wanted - was a ploy to expose young people to the wonders of the Soviet Union. These included some terrific Russian cuisine, Russian dance performances and all sorts of classes (balalaika, borscht, Russian literature and of course, the poetry of Mikhail Lermontov himself). However, the most memorable cultural experience for me was passing under New York's Verrazano-Narrows Bridge at dawn and sailing past the Statute of Liberty as the sun came up. After that, the trip by Greyhound bus from New York to Hamilton, Ontario, was a bit of an anti-climax. The Polish crew were great and the service was wonderful. 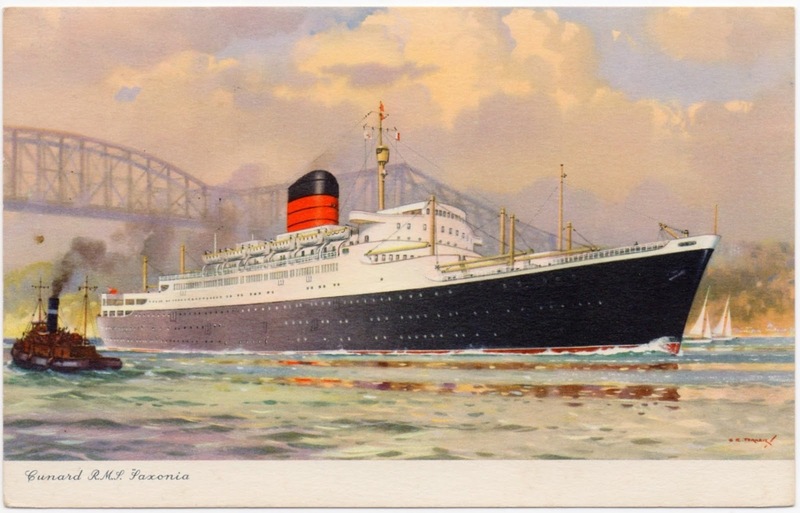 In fact, the Batory went on crossing the ocean from Gydnia to Montreal until 1988, the last regularly scheduled transatlantic passenger service. Note: TS/S stands for Turbine Steam Ship. MS in a ship's name stands for Motor Ship, indicating that it is propelled by an internal combustion engine. These abbreviations are a great source of trivia questions, like what does the RM in RMS stand for? It's not Royal Majesty, but Royal Mail. Some 29 years after my last transatlantic crossing by ship I met up with my former college roommate whom I had not see in more than 30 years. To cut a long story short, and leave out the many expressions of wonder, it turns out that after Leeds, Steve had played guitar in a house band on the Saxonia! So my roommate had sailed the seas in the 1970s on the same boat that took me from Canada to England as a boy. And get this, the ship Steve played on was Soviet at the time! It turns out that in August 1973 the Saxonia was bought by the Soviet Union-based Black Sea Shipping Company. She was renamed after Leonid Sobinov, a famous Russian tenor, and put to cruising! Not only that - and this is where it gets really spooky - as the conversation continued, we realized that Steve had played in another ship band, on another Soviet vessel: the Lermontov! Apparently, she had been upgraded to a Western-style cruising ship in 1982. A few years ago, I was at a wedding reception in Toronto and late in the evening the bride's father, a gracious host and serious follower of rock music, asked me: "What's the biggest coincidence you've ever experienced?" I had to tell him the one about the two ships and the rock band roommate. The epilogue is a sad but telling one: In 1986, in an incident that prefigured the tragic fate of the Costa Concordia, the Lermentov hit rocks while sailing close to shore and sank. That was in New Zealand waters. Steve was not onboard. In fact, all aboard were saved, except for one crew member. She now rests on the ocean floor and is considered one of the world's finest wreck diving experiences. Let me end this strange tale of ocean travels with Steve on guitar...he's the serious looking one on the right. Chey at the helm of Alpha, a Bristol Pilot Cutter built 110 years ago. Although we live just 5 blocks from the Star of India and other fine sailing vessels in San Diego Bay, we do not get out on the water much because of Chey's health. 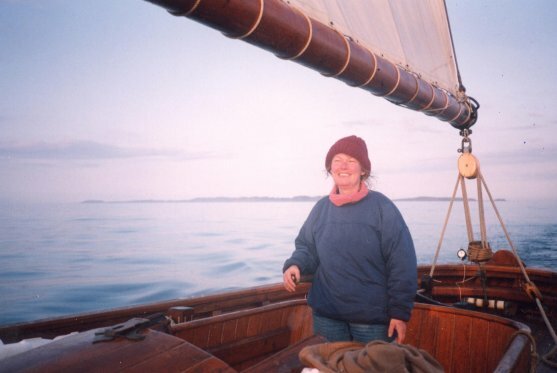 However, 20 years ago Chey was an active sailor, studying for her Yachtmaster on the Isle of Wight and sailing historic wooden sailing ships around Scotland. Chey's favorite was Alpha, a 52 foot Bristol Pilot Cutter. On one trip she sailed Alpha from Scotland to Portugal and back, straight up through the North Atlantic and around the western side of Ireland. Bear in mind that pilot cutters were the "built for speed" boats of their day, sleak, stripped of deck rails and any other impediments to pace. Why? Because pilots made their money guiding large cargo ships through coastal waters and into port. The pilot who was first to reach an incoming ship got the job!